Photo by Joseph Lachance | Rams Den is now open until midnight on Wednesdays and Sundays, a big change after only being open Monday- Friday until 5 p.m. all spring semester. 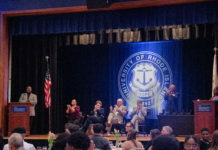 In an effort to offer students more on-campus dining options, the University of Rhode Island has extended the Ram’s Den hours on Wednesdays and Sundays. Ram’s Den is located on the second floor of the Memorial Union, and was previously open Monday through Friday until 5 p.m., and closed on the weekends. This semester, the hours have been extended on Wednesdays and Sundays until 11 p.m.
URI’s Director for Dining and Retail Food Services, Pierre St-Germain, said the extended hours are part of a pilot program intended to see if the student body is interested in having more on-campus dining options. If enough students purchase meals during the extended hours St-Germain said they will look at further expanding the number of days that Ram’s Den is open late at night. St-Germain said the dining services team chose Wednesday and Sunday as the days to extend the hours because they believe that’s when students may be more likely to take advantage of the food service. St-Germain believes that on Sundays, as the weekend ends and students get back into their weekly routine, they are more likely to go to the library or meet other students to do work. This was a factor in the decision to keep Ram’s Den open later in hopes that students will stop to get food before going back to their dorms or leaving campus. Additionally, St-Germain said that by being open on Sundays, students have more of a reason to go to the Memorial Union. He said that by being open on Sundays, Ram’s Den may help make the Memorial Union a more vital part of campus on the weekend, a period where it has previously been nearly empty. St-Germain said that during the first week of extended hours, approximately 250 students per night bought a meal or used a ‘combo swipe’ at Ram’s Den. Wednesday has been the busier of the two days thus far, however, he hopes to see Sunday’s numbers increase as the semester goes on. He hopes Ram’s Den will eventually serve 300 to 400 students an hour. Students who have utilized the extended hours so far have been pleased, said St-Germain. 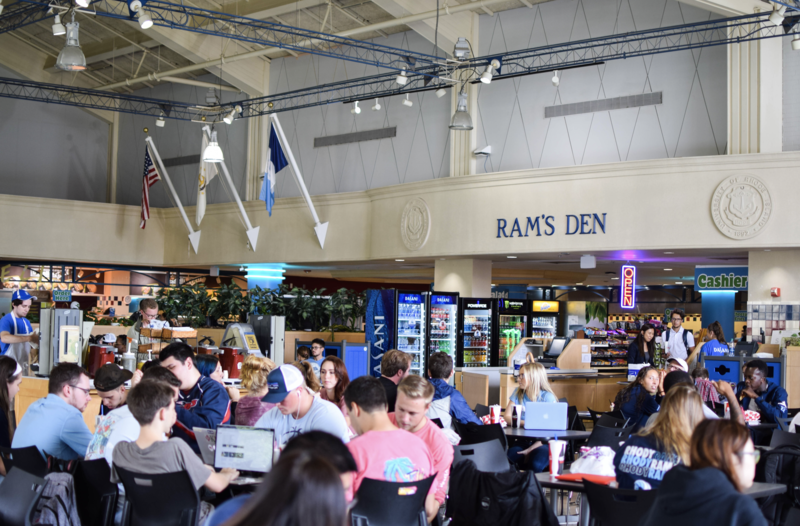 One student, junior Matt Pelisson, said he did not find out until he walked into Rams Den on Wednesday night that the food court now offers extended hours. 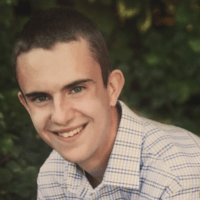 Despite living off campus and not owning a meal plan, Pelisson liked the idea of extended hours and planned to purchase a meal before leaving campus. “It seems absolutely convenient,” he said. Most of the advertising regarding extended Ram’s Den hours has been done on the URI Dining app. St-Germain said the dining services team may branch out into advertising the extended hours on social media to make more students aware of the new late night options available. The staff has been limited during the extended hours, and while those who have worked during the extended hours have done an excellent job, additional staff may need to be hired if the pilot program takes off. If they do need to hire more staff or reallocate current staff, St-Germain said he will have no problem doing so. Two Ram’s Den employees, senior Kevin Leon and freshman Morgan Elburn, said they like the extended hours because it allows them to work more. Leon said he is only working this week because the food court is open late. He was unsure if he would be able to work a shift if he did not work the extended hours. Elburn also was able to work more because of the extended hours that Rams Den is open. Elburn said Ram’s Den is staffed well during the extended hours. She said sometimes it won’t be very busy and it will seem like there is extra staff, but there is always a rush of students around 9:00 p.m. through 10:30 p.m. She said they originally did not expect the rush of students but it seems to happen each night Rams Den offers extended hours. In addition to the late-night dining options available at Ram’s Den, Butterfield Dining Hall now offers an ancient grain bar. The ancient grain bar is located to the right of the burrito bar. It was first implemented towards the end of last semester. St-Germain said that it’s popularity has taken off now that more students know about it, and he hopes for the grain bar to soon be gluten-free. St-Germain, who has 28 years of culinary experience is new to URI, but excited to be on campus and hopes he can have a positive impact on the dining services program. He hopes to send out a survey to students this year about what they would like to see from dining services.